Don't be intimidated by the word "video". Creating one really isn't that difficult. In fact I will even show you how to create a professional looking video using free programs that came with your computer! But the training doesn't stop there, I will show you where and how to submit your video to achieve the maximum effect possible. There is a right way and a wrong way to do video marketing (the wrong way would be spending dozens of hours to create just one video. Let me show you how to do it in less than one). * A Collection of 22 Professionally Recorded Videos-This complete video series will teach you everything you need to know about creating, optimizing, and submitting videos. * The Importance of Video Marketing- Before you actually start video marketing, you need to understand why it is so important. * The Power of Keyword Research- If you aren't creating videos that are focused on specific keywords, you are literally taking a stab in the dark at achieving natural search engine rankings. Let me show you how to perform effective keyword research. 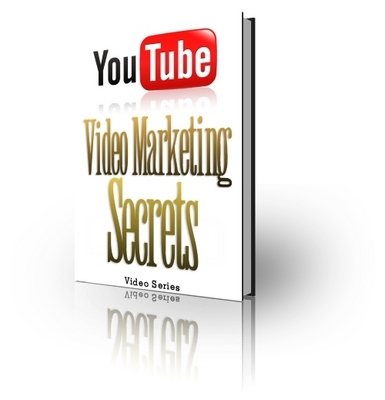 * The Components of a Great Video - What your video needs to have for it to be successful. * How to Create a Professional Looking Video with Programs you can Get For Free- I will take you step-by-step through creating a professional video using programs that you will already have or can be downloaded for no cost (as long as you have windows running). * Where to Submit Your Video- I will show you the best places on the internet where you need to be submitting your videos to get the best outcome. * How to Make a Successful Optimized Video Submission- I will show you exactly what you need to be putting in your submissions to have them optimized, so they can rank well. * YouTube "Tricks" You Can Do- I will show you some things I do to help my video get noticed on YouTube. * Additional Promotional Ideas- I will show you some additional ways you can get valuable backlinks and gain exposure for your videos. * How to Automate Your Video Submissions- I will show you what software/programs I recommend for easy video submissions (including one fantastic resource that I personally use that shoots your video to 20 of the top sites for just a dollar a submission!